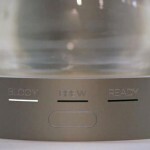 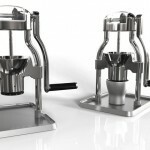 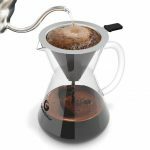 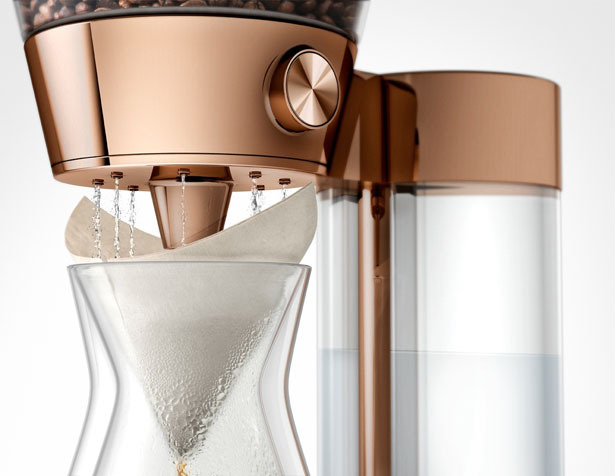 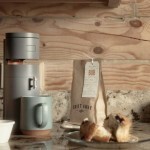 Poppy Pour-Over Coffee Machine is an example that even coffee machine can be gorgeous. 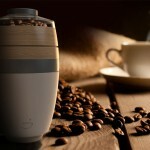 It’s a compact device that brews a perfect cup of coffee on demand, it operates as easy as standard coffee maker. 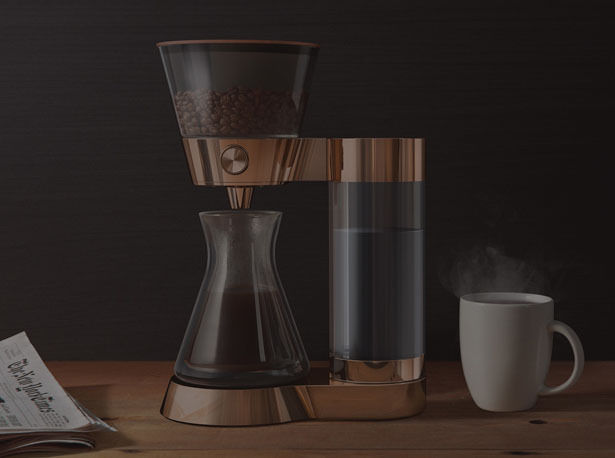 The built-in hopper can keep up to 1.25 pounds of beans while the built-in burr grinder will wait for you to grind when you’re ready. 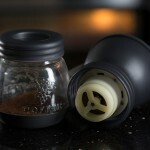 The water reservoir holds about 50 oz of water to make about 4 single servings without refilling. 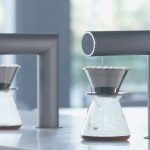 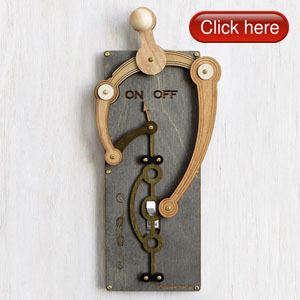 Its built-in charcoal filter ensures the cleanness of the water. 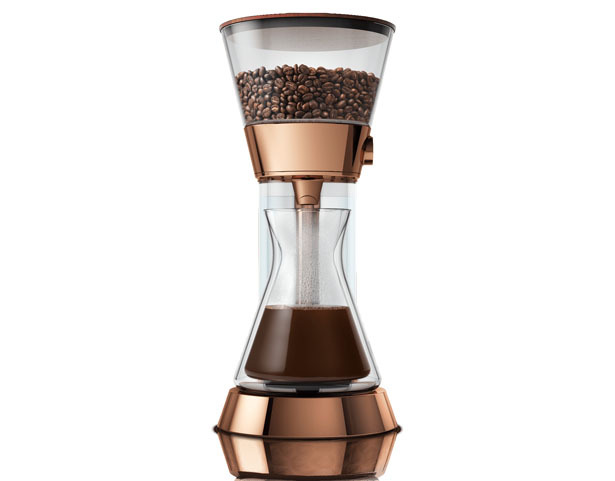 The special thing about this burr grinder is that it conserves the essential oils by crushing rather than chopping beans, giving you the best taste of coffee. 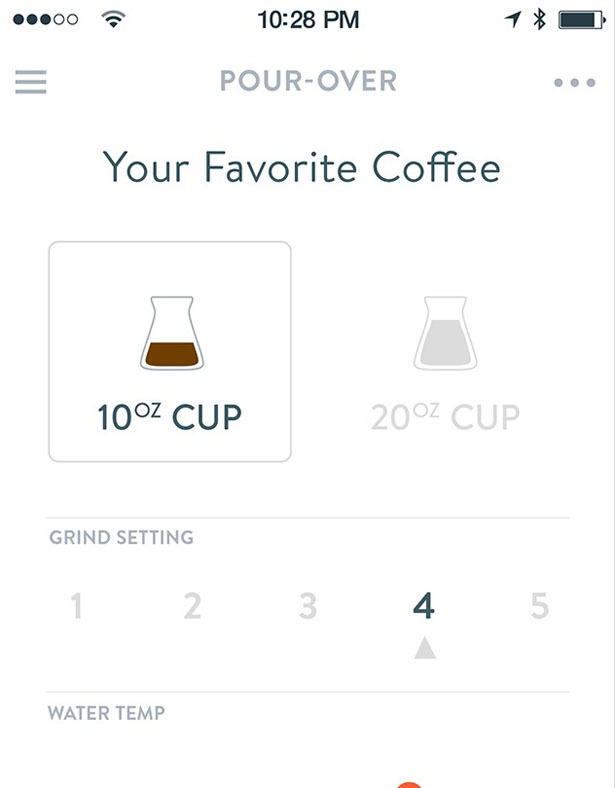 You can set automatic refills of your favorite coffee beans, water filters, and coffee filters delivered by Amazon, customizing everything from the Wink app. 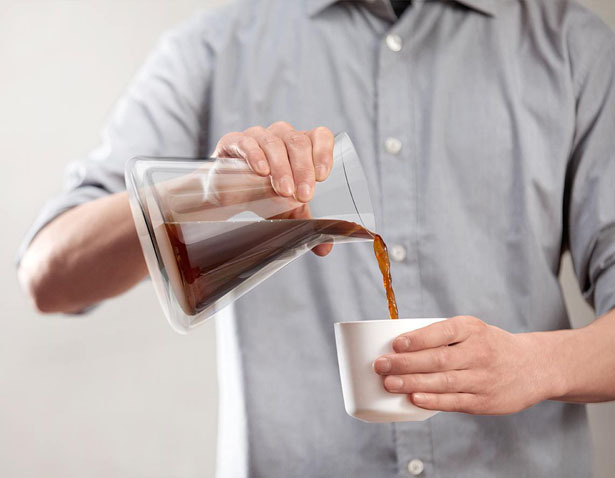 It comes with double-walled glass carafe to maintain ideal drinking temperature. 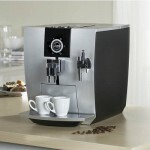 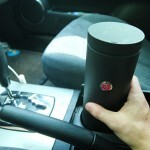 Tagged as compact coffee machine, modern coffee machine, simple coffee brewer, smart coffee brewer.